The mother of a hearing-impaired son is urgently seeking public assistance to purchase a $135,000 hearing aid for her child. Kerry-Ann Sanderson, 39, is seeking public assistance which may be the only financial recourse to fund the purchasing of a new hearing aid for her son, Khalial Simpson, after the one he currently owns got damaged recently. Some years ago, due to an unfortunate accident while playing, a stone was accidentally lodged in Khalial’s ear which damaged the drum, impeding his ability to hear clearly thereon after. 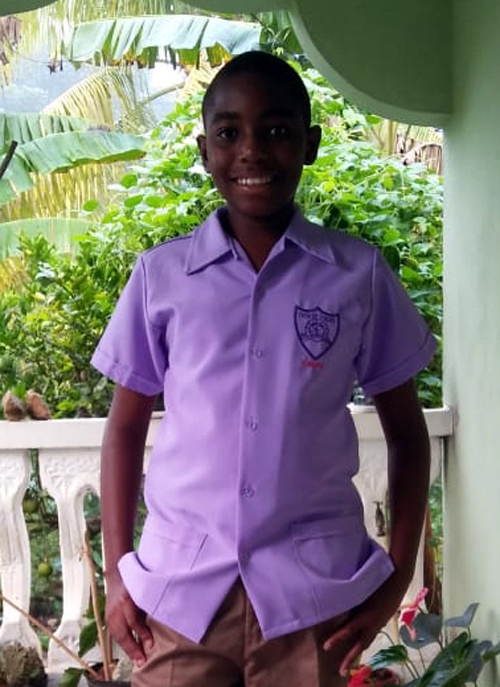 Now, newly inducted seventh grader at the Irwin High School, Simpson is facing quite the dilemma as his mother is fearful that his schooling will deteriorate due to his limited hearing abilities. She says that when addressing Khalial, one has to repeat several times and project their voice, which has caused his teacher to move him to the front of the class. “It gets frustrating for the speaker and for him,” said Kerry-Ann. She is also concerned that he might fall behind in his schooling, something she is more than determined to prevent. But it’s a bittersweet situation as Kerry-Ann revealed that a good citizen donated a hearing aid not long ago. Grateful for the generosity extended to her son, she was disappointed when a Kingston-based doctor, who commutes to Montego Bay, Dr. Thwin, revealed that the medical device “will not work” as it is “not the right size and match,” she said. Kerry-Ann added that the doctor wrote an invoice to the Mayor of Montego Bay, Homer Davis, who assisted in providing $25,000. But now she needs a little over $100,000 to make her son hear again. “If there is any kind person out there that can assist my son, that would be appreciated because I don’t want him to drop back on his grades,” she pleaded.